The season of Lent begins with Ash Wednesday worship on Wednesday, February 14 at 7:00 pm. Midweek worship continues on Wednesdays at 7 pm weekly through April 10. A simple meal is provided at 5:30 pm. All are welcome! 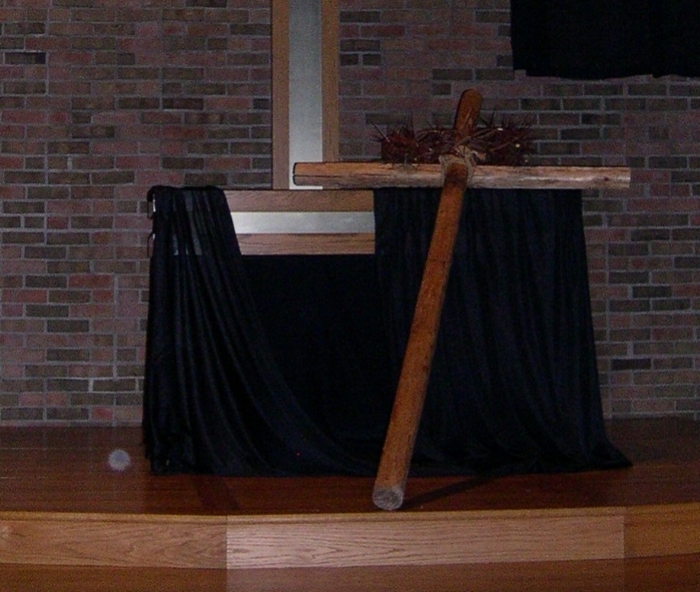 Holy Week worship begins with the Triduum, which is one continuous worship service that includes Maundy Thursday, Good Friday, and the Easter Vigil. All are invited to participate in the foot washing during the service, in which we remember Jesus' commandment to his disciples to "love one another as I have loved you." The cross is the central focus of this service, in which we celebrate the triumph of the cross through Christ's crucifixion, death, and burial. We begin this service outside with the lighting of the new fire and the lighting of the Paschal candle. The light of Christ from the new first is shared with one another as we light our individual candles and process into the sanctuary for the singing of the Exulte, and the reading of Scripture in the darkness. We affirm our baptisms into Christ and commune together, as the service goes from darkness to light. Then, we celebrate with a reception! A joyous celebration announcing the resurrection of Jesus Christ! We sing festive hymns with brass accompaniment and celebrate the Eucharist. Easter morning worship is followed by our annual Easter breakfast, hosted by Resurrection youth. This is a fundraiser for youth to attend summer camps including Lake Wapogasset Bible Camp and Lutheran Summer Music.